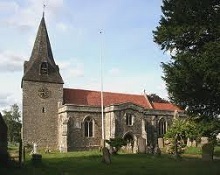 The Ancient Parish Church of East Farleigh was founded in 961 AD and offers a warm welcome to all who come to its services. We are a small but dedicated community of worshippers with a variety of services, most of which have the choir leading the sung worship. There is a Compline Service on the first Tuesday of each month. Contact the churchwarden for details of location during the Winter months.